They have therefore appealed to Buhari to reward Ndume’s loyalty to the APC by supporting the senator’s aspiration to emerge as the presiding officer of the red chamber during the inauguration of the Ninth National Assembly. Spokesperson for the group under the aegis of Concerned Borno Citizens, Alhaji Yakubu Umar, stated this in a statement made available to our correspondent in Abuja. The group alleged that certain dark forces were seriously working on a plot to hijack the leadership of the Ninth National Assembly for their selfish political gains that could be highly counterproductive to the policies of the Buhari Presidency in its second term. The Borno elders reminded Buhari of his endorsement of Ndume’s bid to contest the office of the Senate President last December and wondered why the party decided to zone the office to Senator Ahmad Lawan, instead of zoning it to the North East. The statement read, “We decided to come out publicly to mobilise support for Ndume last month when he confided in us that he had discussed his ambition with Mr. President. The group asked Buhari to remain committed to Ndume, irrespective of the political pressure from certain quarters. It added, “President Buhari in December last year unreservedly made an undertaking to handsomely reward any party member who works very hard for him to win his re-election bid. 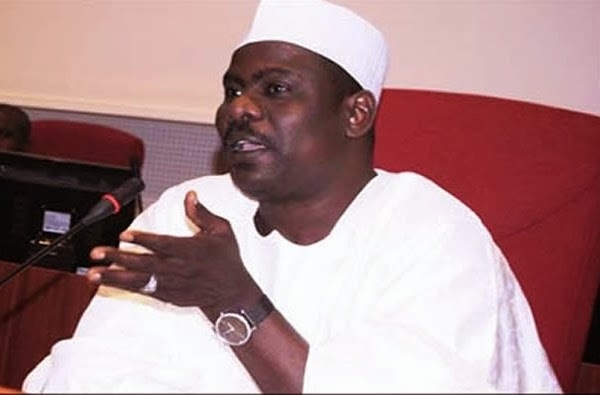 “Our group which boasts of former governors, former ministers and other leaders of the APC in Borno State want Ndume to be considered for the position because our state gave the party over 90 per cent of the votes from the state in the just concluded election. “President Buhari should not suffer further sabotage by allowing a wrong person to be elected as the Ninth Senate President. “The President should personally subject antecedents of Senators Ndume and Lawan to scrutiny to determine who is more loyal, experienced or qualify to be Senate president.